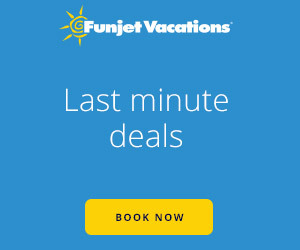 Save on your Disney cruise vacation with the latest special offers and deals. And be sure to check back here often because new specials are always being added. Disney Cruise Line created the blueprint for family cruising and continues to grow by attracting guests who say they would not have cruised if it had not been for the Disney brand. The Disney ships were designed with areas and activities that meet the unique vacation needs of every member of the family. Families can reconnect, adults can recharge their batteries and children can experience all Disney has to offer. From a theatre featuring live musical spectaculars to a luxurious spa for adults and nearly an entire deck dedicated to children’s activities, the Disney ships offer a unique vacation experience that every member of the family feels was created exclusively for them. Plus, you’ll always find the legendary service and attention to detail that Disney is famous for. Disney ships sail year-round from a private cruise terminal in Port Canaveral, Florida and from regional homeports around the world. Whether it’s sun and sand in the Caribbean, outdoor adventures in Alaska or experiencing the wonders of Europe, Disney Cruise Line offers an itinerary to suit every style. A favored stop on most Bahamian and Caribbean itineraries is Disney Castaway Cay, a private island paradise that is exclusive to Disney Cruise Line guests. This is where island adventures begin and memories are created that will last a lifetime. Learn more about Disney Cruise Lines. Castaway Cay – Disney’s private Bahamian Island. The ship docks right at the island to let guests come and go as they please. Entertainment – Original Disney musicals, incredible deck parties, fireworks at sea, first run films (including 3D Digital Movies), time with Disney Characters and much more. Age-specific Activities – Including special programs for kids, teens and adults. Rotation dining – where guests, servers and tablemates rotate to a different dining experience nightly. Staterooms – Family-sized staterooms to stretch out. 6. World-renowned Disney service.